Finding a hand towel that features quality, durability and luxury in every stitch can be hard to come by these days. This blue lagoon bamboo-viscose hand towel answers the call. Extra-smooth, slightly twisted yarn is loomed perfectly to 600 grams per square meter for increased comfort. 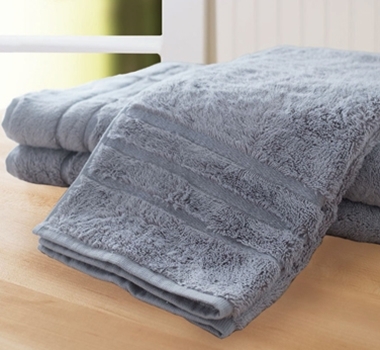 Our bamboo fabric is naturally moisture-wicking and odor resistant, so your hands will feel nothing but clean freshness every time they touch these towels. Each set includes three hand towels.